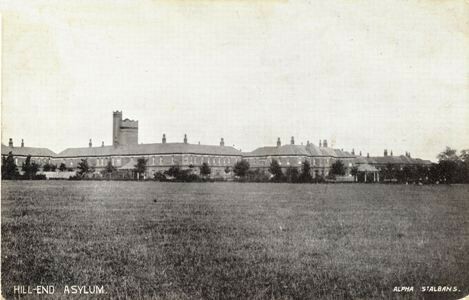 Memories of Hill End Psychiatric Hospital | Hill End | Out of Sight, Out of Mind? During 1992, I had the experience of being an in-patient in Hill End. Although from Hemel Hempstead, Hill End had a catchment area over the whole of Dacorum. I was detained for about five months with schizophrenia, which is hearing voices. The treatment for this was only medication, the side effects of which were awful. Had it not been for the side effects, I would have quite enjoyed my stay. Hill End was an old Victorian institution, a large rambling place, probably occupying a site of 100 acres. It had around 30 wards and extensive grounds with sports pitches and an orchard. 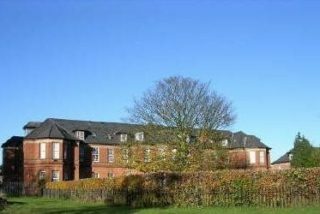 It was demolished in the late 1990s, and a housing estate now stands on the site. Parts of it were preserved – the front entrance and chapel – if you drive into the housing estate, you can see these. My father commented on the brickwork of the hospital buildings, he said it was of a very high standard. The structure of the building was one of very long corridors, connecting the various wards. 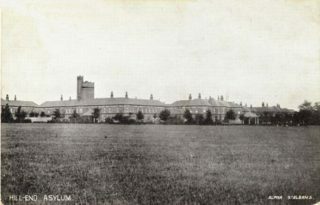 I was on Anderson ward, which was the acute admissions ward for Dacorum. Later I was moved to a self-catering ward, which was in a house in the grounds. The hospital had a big kitchen which cooked all the food for the patients. Also a padded cell, gymnasium, chapel, hairdressers, laundry, newsagents, dentists and clothes shops, cookery training unit and the nissen hut therapeutic centre. One place I liked to visit was the boiler house, which had a massive oil-fired hot water and central heating boiler. I had been involved with boilers before at a place I lived in in North Wales, and found it interesting. I also discovered some railway lines near the old laundry. There was a disused branch line running past the hospital, which must have had a siding. This is so interesting to read. It is lovely to gain insight into the everyday life of residents. Thank you for sharing this.